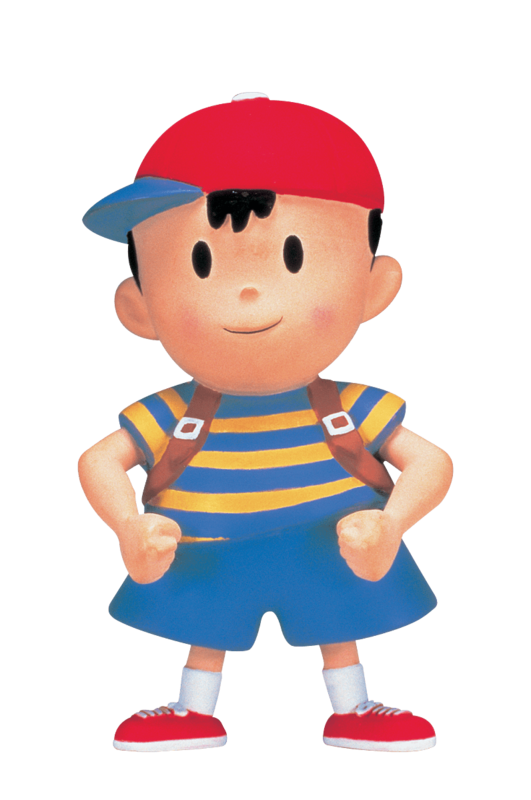 Speaking of hats, why not go as Eagleland's favorite world-saving little kid, Ness? Assuming you have a favorite pair of jorts and some red shoes at the ready, all you'll need is a blue-and-yellow striped shirt, and Ness's trademark hat. Amazon has the hat and you can likely find the shirt at a thrift store, but for folks who really want to impress, Fangamer has a package including super-high-quality reproductions of Ness's hat, shirt, and even his yo-yo! In addition, it even comes with a collection of Earthbound-inspired pins. Oh, and hey, just so you know, Fangamer itself started out as an Earthbound fansite, so they know their stuff. This is their wheelhouse.